Following up The Irresistible Revolution, Shane Claiborne explores justice and whether the death penalty is even right. The Bible says an eye for an eye. But is the state's taking of a life true--or even practical--punishment for convicted prisoners? In this thought-provoking work, Shane Claiborne explores the issue of the death penalty and the contrast between punitive justice and restorative justice, questioning our notions of fairness, revenge, and absolution. Using an historical lens to frame his argument, Claiborne draws on testimonials and examples from Scripture to show how the death penalty is not the ideal of justice that many believe. Not only is a life lost, so too, is the possibility of mercy and grace. In Executing Grace, he reminds us of the divine power of forgiveness, and evokes the fundamental truth of the Gospel--that no one, even a criminal, is beyond redemption. Executing Grace by Shane Claiborne was published by HarperCollins Publishers Inc in May 2016 and is our 37981st best seller. The ISBN for Executing Grace is 9780062347374. 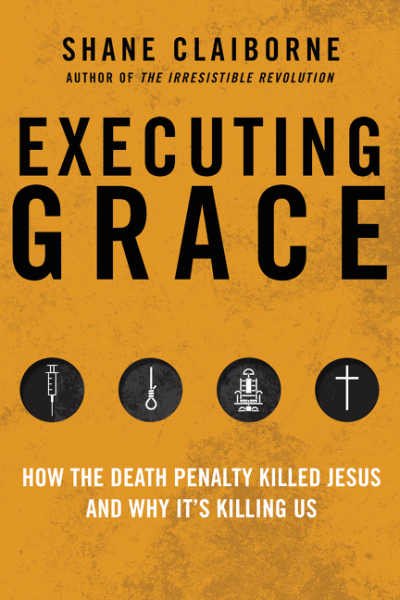 Be the first to review Executing Grace! Got a question? No problem! Just click here to ask us about Executing Grace.